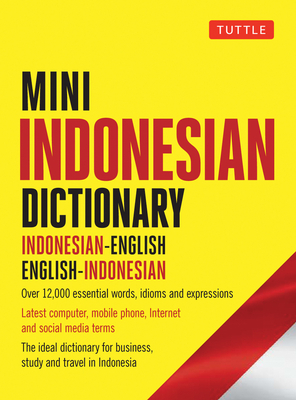 With a pocket-sized format and easy-to-read type, anyone can look up words quickly and easily with this handy little Indonesian dictionary. Tuttle's Mini Indonesian Dictionary is ideal for use by tourists, students, and business people traveling to Indonesia, or as an Indonesian language study reference. In addition to being an excellent English to Indonesian dictionary and Indonesian to English dictionary, this reference guide contains essential notes on the Indonesian language, Indonesian grammar and pronunciation. All Indonesian words are written in romanized form, as well as Indonesian script--so that, in case of difficulties, the book can be shown to a native speaker. Katherine Davidsen is a language teacher who has lived and taught in Indonesia for over 15 years. She has a degree in Indonesian Language and Literature from Monash University in Melbourne, Australia. She is the author of Easy Indonesian and several dictionaries including Tuttle Concise Indonesian Dictionary, Periplus Pocket Indonesian Dictionary and has written a number of other books on Indonesian, as well as a Sundanese dictionary.